To capture a true representation of your unique wedding in documentary / narrative fashion and to record every aspect possible - candidly, and with an organic feel. I balance 'staying hidden' with 'getting stuck in' and find the raw emotion, fun and natural interactions. I'm a very relaxed person, but planning a very well detailed schedule before the day arrives means I don't miss anything and also find times to walk among guests or photograph the location / decorations and other goings-on; For example – the serving of food. I don't like to line everyone up and make them smile - most of my group photos involve throwing something or jumping.. just more unusual things that I've enjoyed capturing since I was very young. We will have a chat as you walk through your couples photos, and I'll encourage you to let your natural chemistry shine though. You may find moments you didn't notice on the day appearing in the album. Or special effects you didn't see me create. As for editing - no airbrushing or warping. Just colour corrections and a classic film matte look across the images. “You have bewitched me body and soul..."
I love a love story. From reading classic novels to watching Bridget Jones, and carry that through to my work - enjoying each couples unique story about how they met, how they fell in love, where they've been, proposal stories, what's been said that they'll always remember... It's SUCH a privilege to tell these stories for others to enjoy. Like walking through your favourite love story.. for a living! 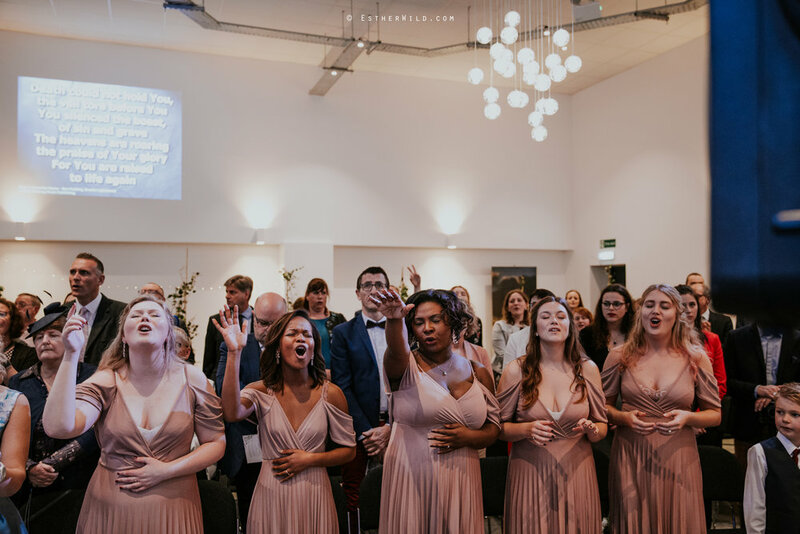 Have a look at the latest love stories, below - which show off a full wedding day to give you a better idea of what to expect when you book with me. This sweet couple were a dream for me as a photographer - not afraid to let their emotions show, and totally in love with each other. Not to mention; surrounded by a close family and group of friends that love them too. It was a joy to be around them all! See the wonderful city walk, specially—written songs, emotional speeches, roaring laughter and lively party that I’ll always remember Mr & Mrs Crane for! ….After the ceremony and a lot of sweaty confetti they broke up the day with a walk to the Plantation Gardens for some family photos, then a little time alone. Their romantic and emotional ceremony kicked off a fun day of outdoor games - some of which had been custom made! 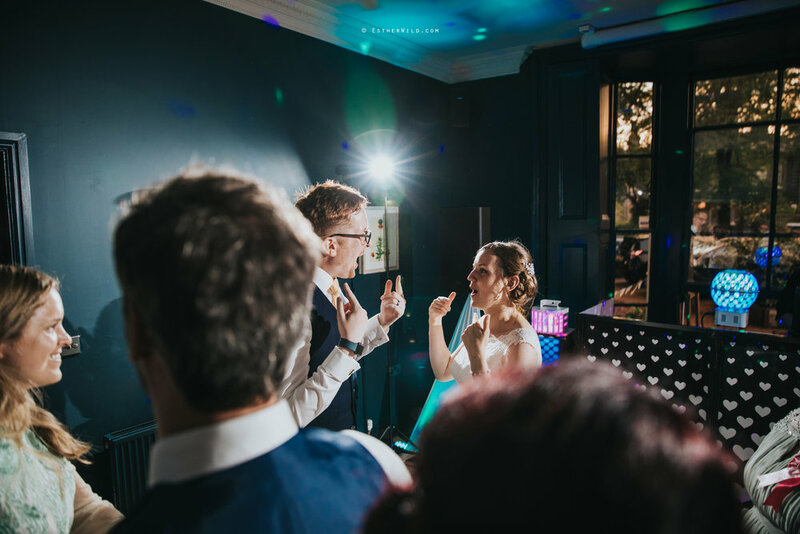 And when it got too dark to play outside, the lively entertainment began indoors and this wonderful couple surprised their guests with a well rehearsed dance routine, as you’ll see. I can’t help but smile when I see the pure joy on their faces. Please join me in looking through the best bits of their wonderful wedding day, and wishing Mr & Mrs Robinson many very happy years together! I couldn’t resist revisiting this summer wedding from the height of the heatwave in 2018. 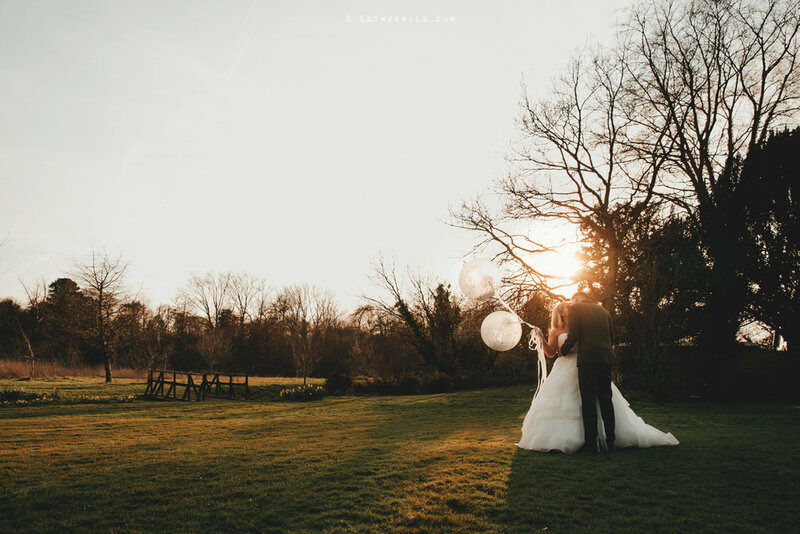 Rachel & Adam chose the mighty Kimberley Hall to tie the knot, and it just happened to be the hottest day possible! This years top moments for me mostly include happy faces - smiley, laughing and teary-eyed faces. But I had to share the slow dances of grandparents that are still completely in love, quiet moments where dads practise speeches in the kitchen, mums fastening dresses, ties, buttons and buckles. Private jokes, drunk dancing, dropped cake and the reactions when the best man spills the grooms most embarrassing secrets! And SHOTS SHOTS SHOTS! Seeing how many bridesmaids I can fit in a car, bathtub, phone box or bar. Kids and animals that have no filter. Twirling dresses, royal wedding peeking, and glass-clinking. Magic tricks, special gifts, and drinks that spill over because you’re just having too much fun to care. And a driiiiiiive-through in an SUV. On a beautiful summers day without a single cloud in the sky, Natalie was getting ready in one of the many luxury rooms at the Assembly house with her entourage. Before stepping into her Maggie Sottero dress and making her way to meet Tom at the Castle…. Georgina & Dan planned a simple yet elegant wedding day, eco friendly, hand made and beautifully personalised. Oh, That moment when the formal part of the day ends and the dancing begins! It’s my favourite, watching people come alive and throw awesome shapes. And I’ll use several techniques and tricks to bottle that atmosphere for you to take home. So just forget I’m around, and dance like there’s nobody watching! Meetings / Skype conferences. All travel is included. Wedding day coverage includes everything from pre-wedding preparations to the evening celebrations, with a maximum limit of 14hrs. Approximately 600 images - all beautifully edited. A private login at estherwild.com with a selection of edited photographs as well as status details and handy notes. A luxury, eco-friendly presentation box with a selection of approximately 100 prints and a USB drive of your digital images among the goodies! There is also 'Cloud' storage of these photographs for easy downloading on any device - this is your secure & permanent backup. The packaged delivery contains a notice for personal use to take to any high street printers. You also receive a set of 'marked' copies with a copyright logo on, for quick & safe online sharing with friends and family. Your completed wedding story can also be blogged when you are ready, for hassle-free sharing. Elopement / Destination within UK / Anything else! Planning to elope? Marrying in secret is desperately romantic and exciting and I'd love to be there. If you want to elope within the UK please do get in touch - secret ceremonies are packed with as much joy, emotion and excitement as a 'traditional' wedding. I'm sure you will not only want to remember this day, but share it with those that did not attend. I will happily create a package deal to suit your vision for the day. Or perhaps you'd just like me to travel to you for your wedding day? I'd be thrilled to cover some amazing destinations up and down the UK and can also include everything I would for an Anglia Full Day wedding. Please get in touch with the details of your day for a customised quote. I can bring an additional professional photographer to cover more, and increase the quantity and variation of photographs delivered. Don't forget to print your favourite photographs - nothing digital lasts forever! All of our packaging is recyclable and we do not use plastics, except for making use of bubble wrap that the USB Boxes are delivered in, to protect them again on their way to you. The wood is sustainably sourced also - trees are planted for every order we make. “I absolutely cannot recommend Esther enough! (and her co-photographer on the day, Louise) The best money I think we spent on the wedding was getting Esther to be our photographer. When we started to plan the wedding, I knew that I didn't want to scrimp on the photographs of the day, as I wanted beautiful photos that would last the test of time! I definitely got what I was after with Esther. She was so chilled from the start: the initial meeting, the pre-wedding photoshoot, prep for the day, and on the day itself, which made it all so much easier for all involved. If you're thinking about Esther, don't think about it, just book her. You definitely won't regret it. "Esther is absolutely incredible! So so talented. We are so glad that we booked her for our wedding! Not only is she SUPER lovely (making me feel so comfortable and not camera shy, being a part of the brides squad and saving the day with her bridal go-to bag) she is so creative with capturing photos and puts 110% effort in consistantly. "We hired Esther to photograph our wedding back in November at Chaucer Barn in Gresham. We planned our day in around 3 months, after finding Esther through her amazing website, the short timescale was no problem to her at all and her communication was fab! Esther captured our day amazingly well, we seriously could not have asked for anything more! The use of the stunning scenery and beautiful autumnal colours were incredible. The amount of people that have commented saying the photos look like something out of a magazine, Esther truly has an amazing talent and we are so thrilled with our photos. We were extremely lucky to be joined by a second photographer on day, Louise Manning, who Esther had arranged to accompany her on the day. They worked together as a team so well and we feel very privileged to have had them both there. "Brilliant!! 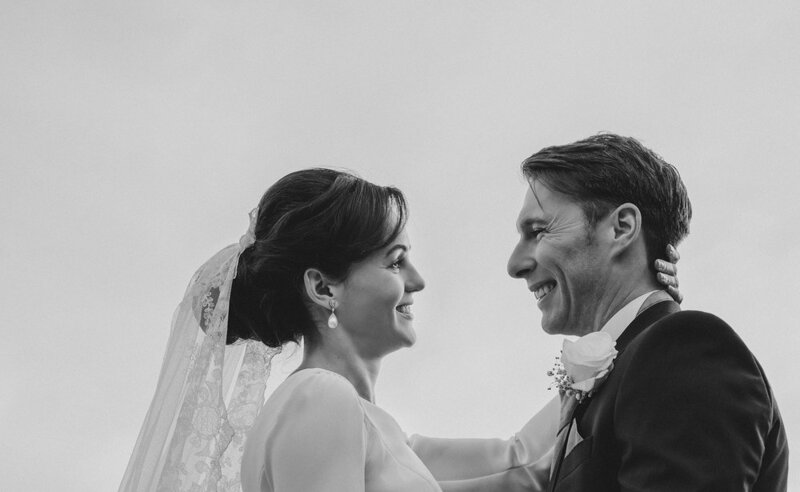 Words don't speak highly enough for how pleased we are with the photos from our wedding. 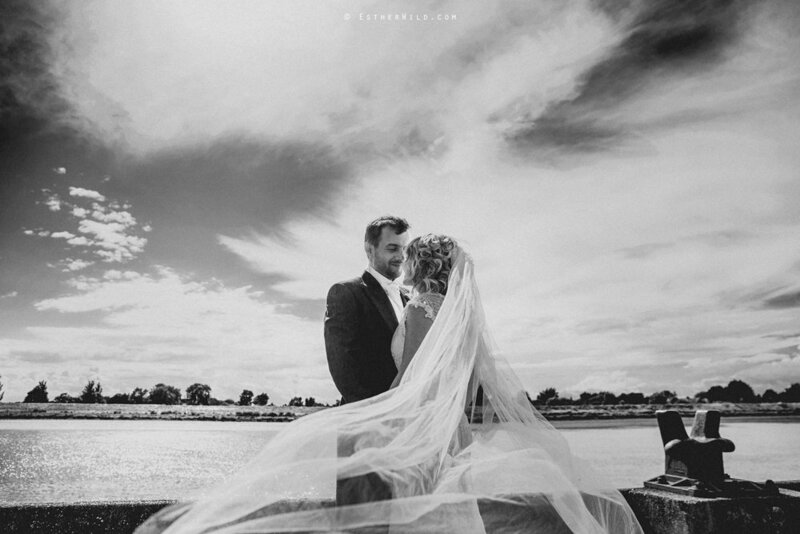 Esther captured the most perfect memories of our special day...We hired Esther after looking at many photographers online and after meeting for o ur pre-wedding shoot at Hunstanton, we felt completely at ease. 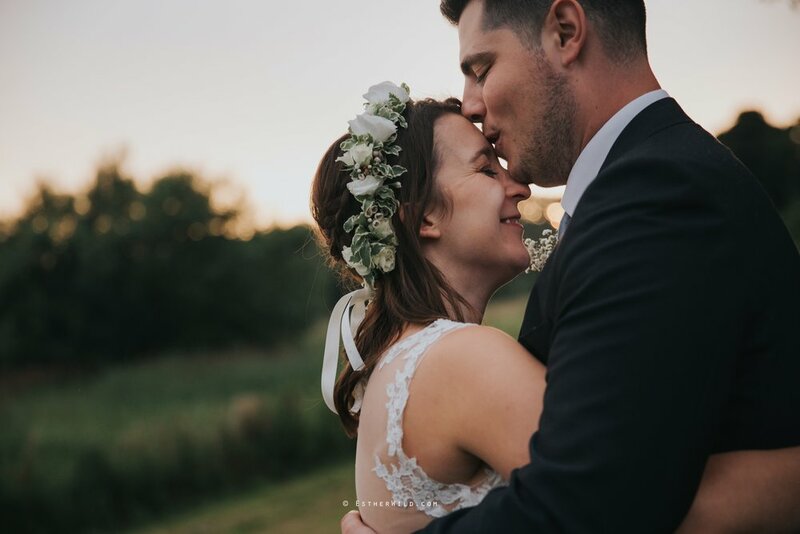 Esther's relaxed, professional approach and effortless attention to detail ensured that we have beautiful, natural family photos that we will treasure and this was before we had even shared many details about the wedding! My hopes were for photos that captured the essence of the day and the precious moments that would take us back to exact moments from the wedding. We received a few preview photos before we even made it back to our hotel that night and from then I couldn't wait to see the rest.When our package was ready to collect, it didn't disappoint. The photographs were wrapped in natural paper and held in a rustic box tied with silk ribbon. Every detail is natural, ethical and considered making it a package that you want to savour.So many people have commented on how fantastic our photos are and for that we are extremely grateful." Click the side arrows to see more. You can also head to our Facebook, or look us up on Google. Finding the right photographer is a bit like finding the right dress - it's really personal and should make you feel comfortable as well as confident. Make sure you check out different photographers, look through their work, and find exactly the right style and fit for your day. Then you will be sure that they will deliver what you're expecting. I aim to reply to all e-mails within 24hrs. If you haven't heard from me, try your junk mail folder (particularly if you use a hotmail / outlook address). It may be useful to add me as a contact. Please get in touch to have a look through our beautiful fine art albums in person, or the photo books that are also offered after your wedding. Type and price varies - from £250. City lover? Or more at home in a wild place? If you’re looking to get comfy in front of the camera with an engagement / pre-wedding photo session there is the option of a casual day roaming about a place you both love, learning a little about my method of working as well as taking home some fantastic photos before you even say “I do”.